On Behalf of The Artisans Guild of America. The Artisans Guild of America (AGA) announces a special exhibition featuring the diverse work of 25 talented artisans and craftsmen who service the interior design and architectural communities. 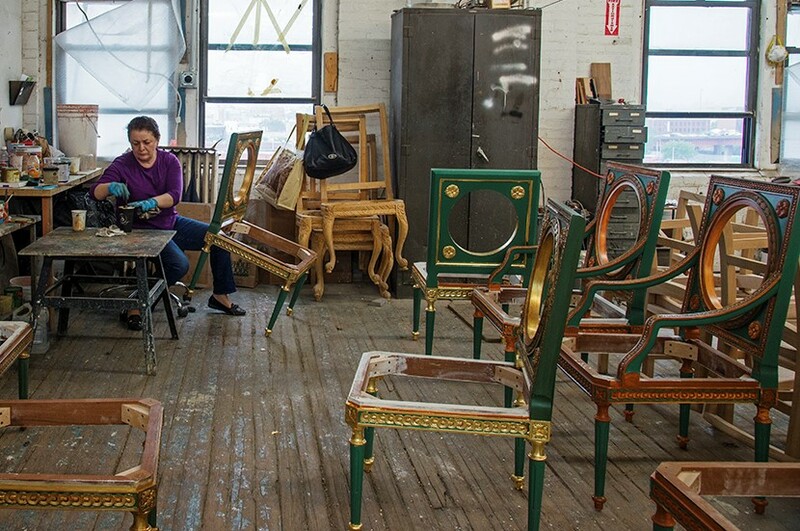 Taking part will be furniture restorers/conservators, furniture makers, leather workers, custom lighting fabricators, mirror craftsmen, custom hardware fabricators, gilders, curtain makers, upholsterers, sculptors, decorative painters, and embroiderers. Ernie Smith, President of the AGA, noted, “I want to invite all those associated with the design community to this first of a kind event. The AGA is a non-profit 501(c) (3) organization, devoted to “perpetuating and advancing the tradition of the artisan workroom”. In my professional work at Penn & Fletcher, I have recognized the value of collaborating with the designer and upholding the highest levels of workmanship are paramount to producing stellar decorative materials and surpassing the expectations of the intended client. Admission is Free. Please click here to register.